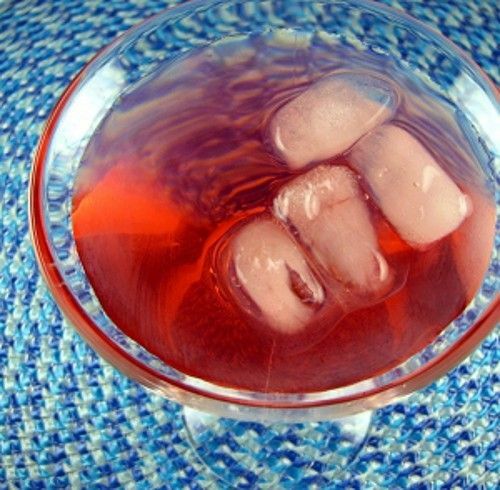 The Fuzzyberry cocktail is another one of those extremely simple cocktails that’s all about deliciousness. Really, the ice is the trickiest part. This drink mixes cranberry juice with peach schnapps to form a taste that’s neither too tart nor too sweet. It’s smooth, mellow and delicious. The flavor is refreshing, and so is the juice, which wakes you up nicely from a long day. With all the vitamin C in the cranberry juice helping to prevent or reduce hangovers, this is a great drink for a night out. Put two or three ice cubes in a martini glass. Pour in your ingredients, and stir.